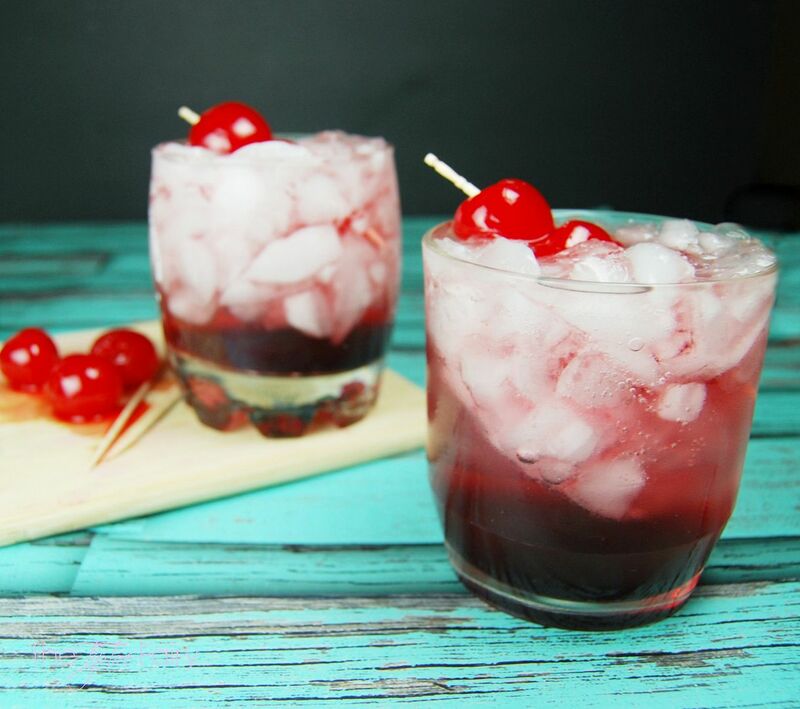 Do we need another cocktail for Valentine’s Day? I’m thinking yes, especially a skinny one. 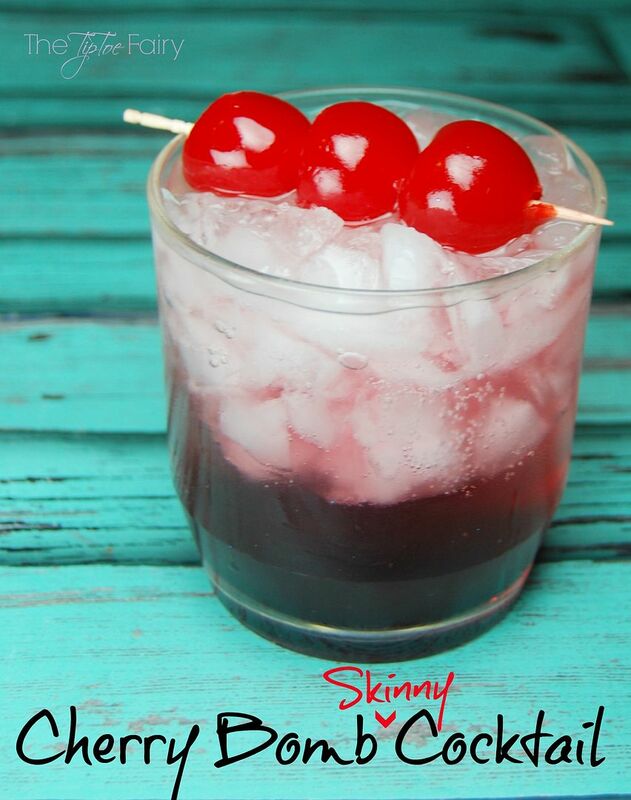 So I bring you the Cherry Bomb Skinny Cocktail. This one is easy to make, and you can’t taste the alcohol, and that is definitely my kind of drink. I was throwing names up in the air for a few days for this drink. I didn’t really want a “dirty” cocktail name, and I was considering “slutty,” but my dear sweet Nate, who loves women, kept telling me that slutty was a horrible name for a sweet childlike drink with perfect little curls. So, Cherry Bomb it is! I always felt so grown up when I ordered a Shirley Temple at a restaurant. One time back in the mid 80s, we went on a huge camping vacation from Colorado to the Grand Canyon, and we went to a vaudeville type show. I was about 8 or 9 years old, and it was at the height of Star Wars. When I ordered a Shirley Temple and my brother a Roy Rogers, the waiter told us the cool way to order was as a Princess Leia and Luke Skywalker. My brother and I thought that was awesome. Part of making a Shirley Temple is the grenadine, the dark red syrupy stuff usually at the bottom of the drink. Grenadine comes from the French word grenade, which means pomegranate, and it was usually made from pomegranate juice, sugar, and water. Nowadays, if you buy it in the store, it doesn’t have any pomegranate juice in it, and it’s made from high fructose corn syrup and dyes. With some pomegranate juice and sugar (or an alternative sweetener like Truvia), you can totally do this yourself! I decided to make my own “skinny” grenadine syrup using Truvia, so I could make a skinny cocktail. Look for 100% pomegranate juice at the store. I easily found POM at Kroger. Since then, I’ve found it’s pretty much everywhere. Just look for it in the refrigerated section. I think it’s even at Walmart. But wait! I added a secret ingredient — a touch of citrus flavor with the juice of a blood orange. You can skip this ingredient if you’d like and it’ll turn out fine, or instead you could add the juice of a small lemon. I just like having a secret ingredient. It adds a bit of mystery to something so incredibly easy 😉 ! 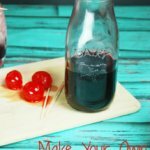 Make your own grenadine the skinny way! Squeeze the juice from one blood orange and set aside. Combine pomegranate juice and Truvia over a medium fire. Add the blood orange juice and stir. Allow to come to a rolling boil and then let it continue to boil for an additional 4-5 minutes. When stirring check the consistency and as it starts feel a bit thicker, remove from heat. In a glass pour the grenadine on the bottom. Then, slowly add the vodka. Next slowly add the soda for a layered look. 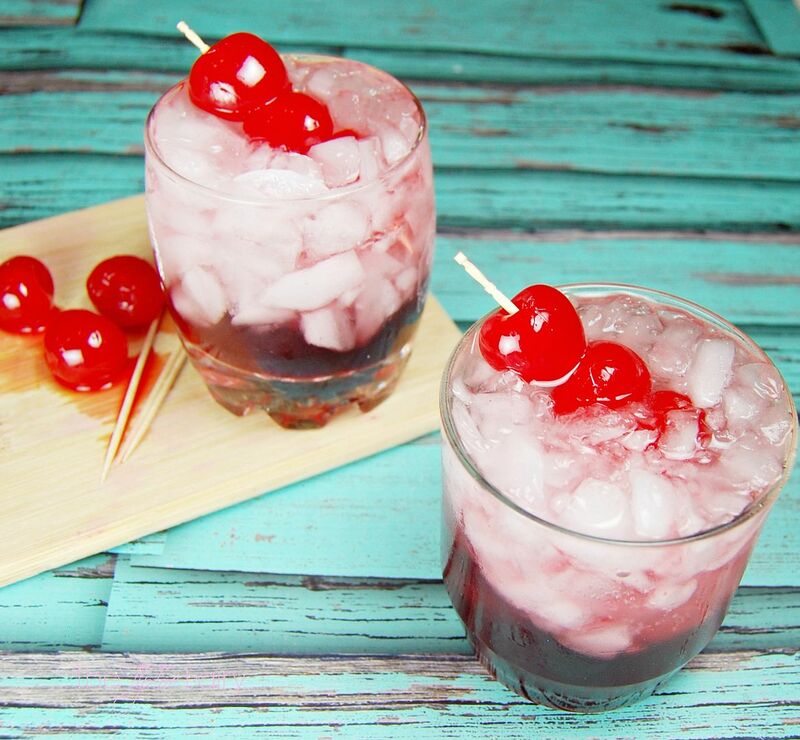 Garnish with cherries on a toothpick. I’m not big on alcoholic drinks. I just don’t like the taste of the alcohol. But, fear not, this is one of those drinks that you can’t taste the alcohol at all, which makes it perfect for me! 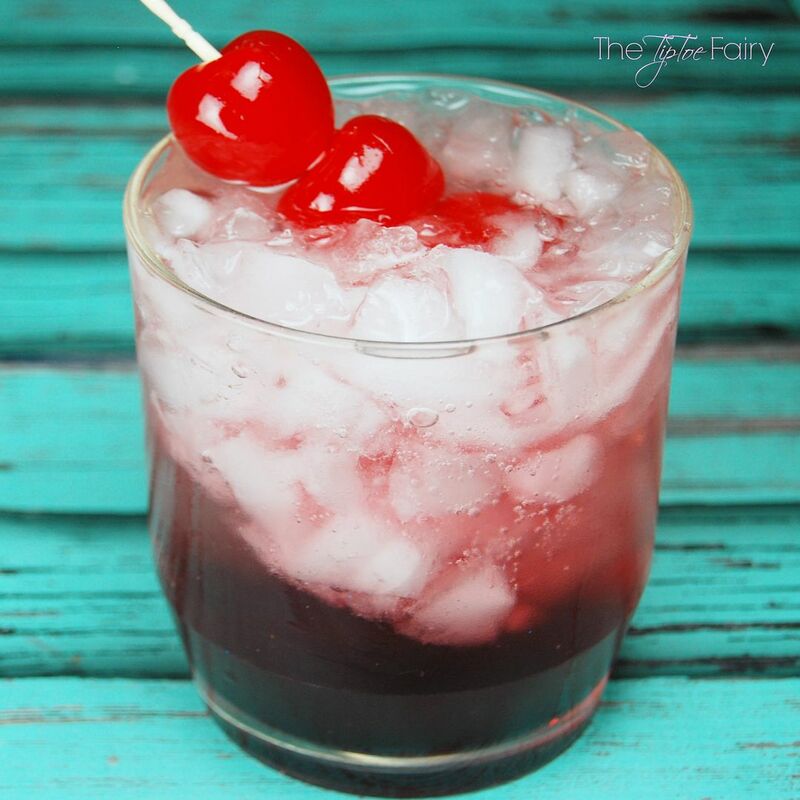 This make a perfect Valentine’s Day cocktail to make your sweetie. When you slide the cherries down the toothpick, they look like just like little red hearts. Instead of 1/4 cup Truvia, use 1/2 cup sugar in the grenadine recipe. Instead of using low calorie lemon-lime soda, use regular. So what’s your favorite cocktail? Do you have a special one for Valentine’s Day? This looks really good- thanks for sharing your recipe! I’m a HUGE fan of any cocktails that don’t require a lot of work and that don’t really taste like alcohol, though I’ve found those can get me into trouble rather quickly if I’m not careful! Since I’m currently off cocktails, I love the sound of this and substituting the limeade vodka with just regular ‘ol limeade. I bet it’s delicious that way, too, and look forward to making the grown up version of that when I’ve had my baby! I’m a new ‘alcoholic’ and I love seeing new drinks and new flavors of Vodka! Congrats on being ‘too big’! Glad the stress is over and you got fixed. I love that! I especially love how you got the name and that you make your own syrup. This looks right up my alley! That looks yummy! 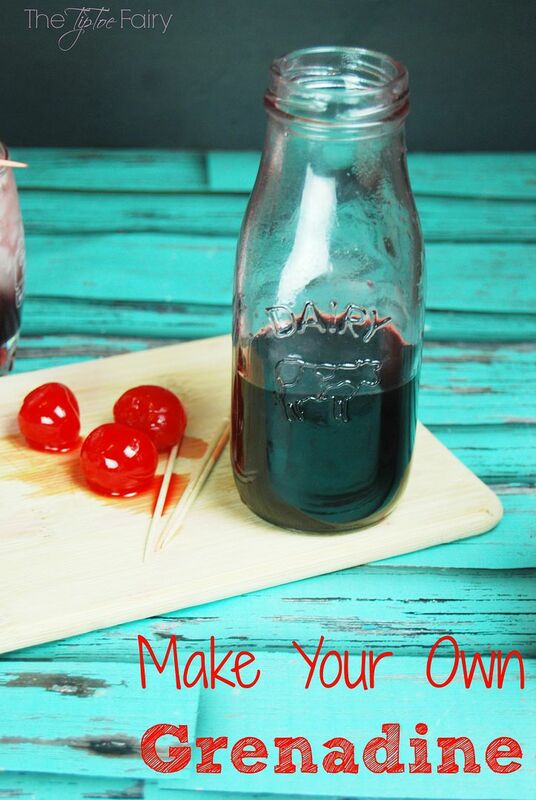 I love the idea of making your own grenadine to cut the sugar. 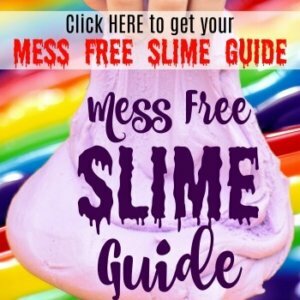 I’m going to have to try this! I absolutely cannot wait to try this! These are one of my favorite drinks and I’m always looking for a way to cut some calories! This looks and sounds delicious! I am trying to be healthier this year but every so often a cocktail is needed! I was just wondering where you were the last few days! Glad you’re up and running. Your pics are gorgeous as usual. 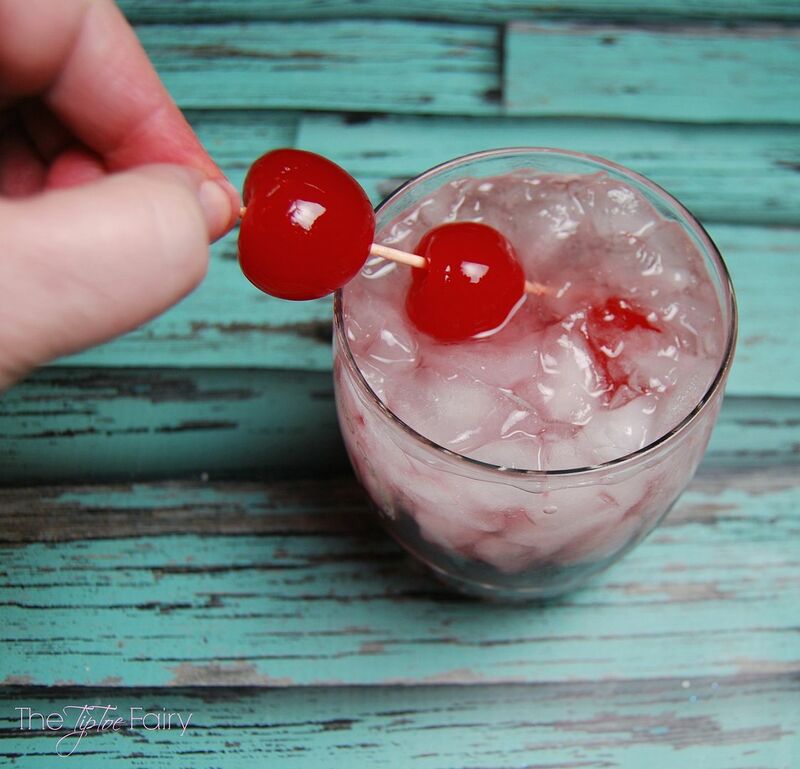 I love how you showed us how to make our own grenadine. What a pretty drink. This drink sounds amazing. I have some grenadine in the fridge so I might to make this drink. Only thing I’m missing is the cherries. welll…… I don’t think I can do cocktail. The best thing that works well for me is drinking Smirnoff. In the white bottle. That’s pretty good for me. My husband buys me the gigantic bottle. 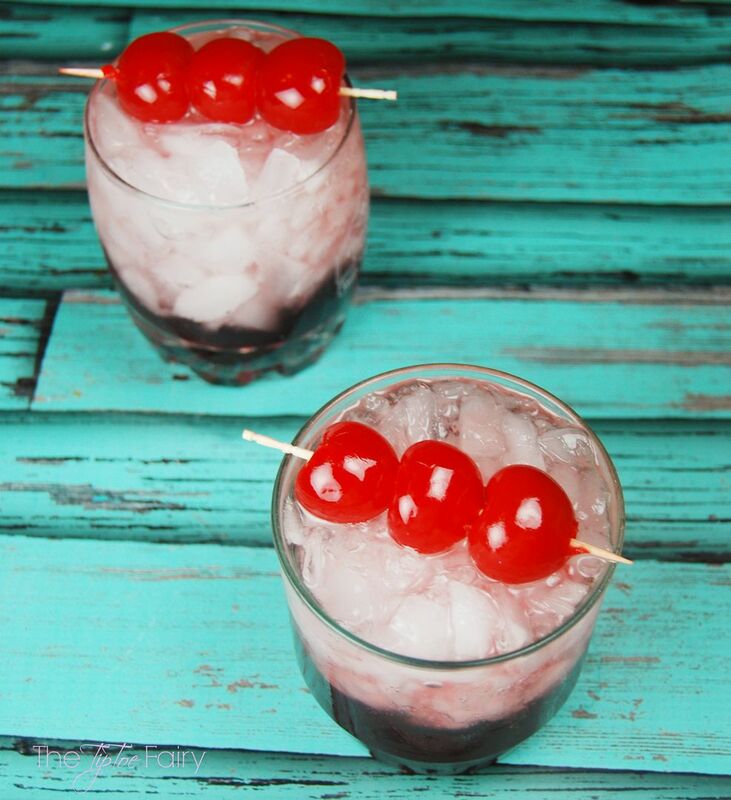 This looks so awesome, I am a big fan of cherries so this is something I’d really love to try making at home! This sounds delicious. I would love to have this when I’m home just relaxing by myself. it sounds delicious, can’t wait to try it. I have one question, what is a blood orange? A blood orange is a type of orange that is red or pink inside. They are delicious and usually only in season during the winter months.